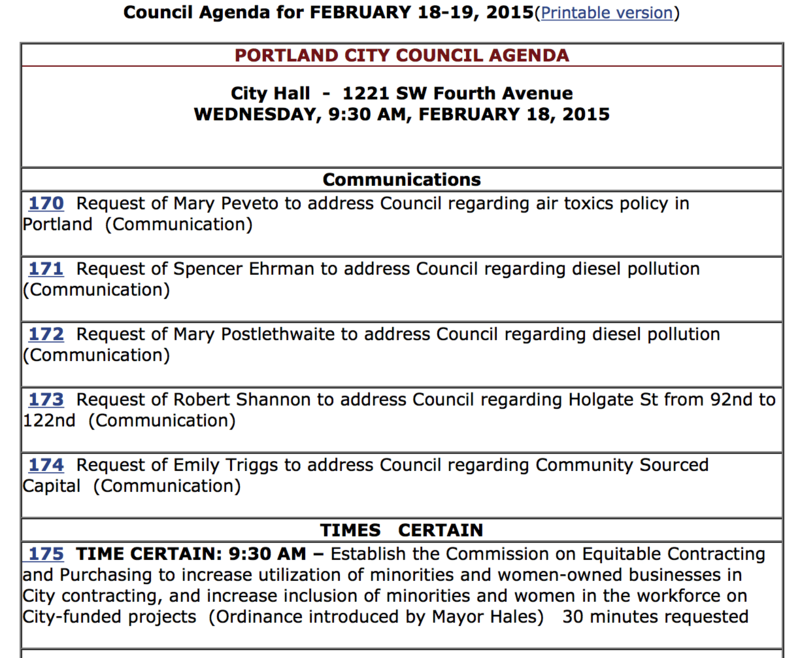 Item # 175 — The City of Portland established the Office of Equity and Human Rights in 2011. In 2012 the City adopted the Social Equity Contacting Initiative “which strengthened the City’s commitment to equal opportunity in contracting for all persons.” This ordinance states that the goals of the initiative are not being attained and establishes a seven member commission to review the data and advise council. This commission is to be appointed by the mayor. While all of this is good — equity is good and oversight is good — why does it take an appointed commission to oversee a bureau? A Bureau Advisory Committee that supports the OEHR was formed in 2013. Why can’t these new goals be added to the BAC’s mission? Isn’t that its job? Item #180 – This will pay the Red Cross to open warming shelters for the homeless for additional nights if needed. 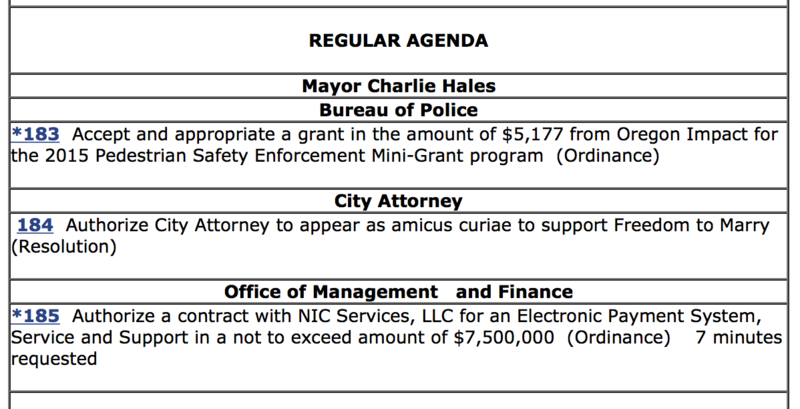 On March 3, 1993, the Council adopted Ordinance No. 166291, establishing the Private Plumbing Loan program to expand privale plumbing options available to eligible property owners with incomes that exceed 80% of the regional medium income.” This ordinance directs the City Auditor to assess the plumbing charges, system charges, and deferrals. #Item 185 — It seems that we are buying a new Electronic Payment System. Supporting documents make a good case that the old Java script payment system that was created in-house back in 2006 is outdated. With technology changing rapidly and hacking threats increasing, an up-to-date system is vital. There was only one bidder for the contract. 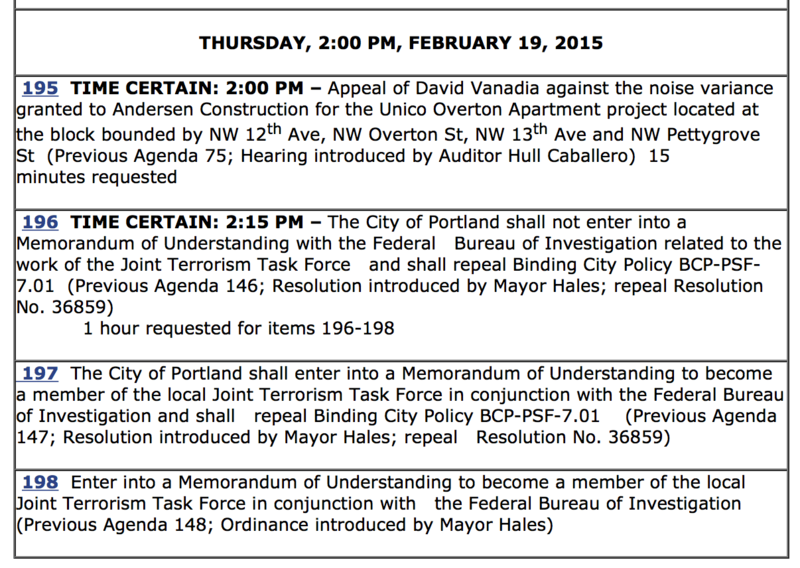 Item #S-186 – changes the codes on demolition of residents. Here’s a write up from The Portland Chronicle. Second reading. Goes into effect 60 days after it’s adopted. The usual delay for ordinances is 30 days. The chronicle counted 40 single-family demolition permits in the 60 days prior to the first reading; expect a lot of developers to rush to get in under the wire. 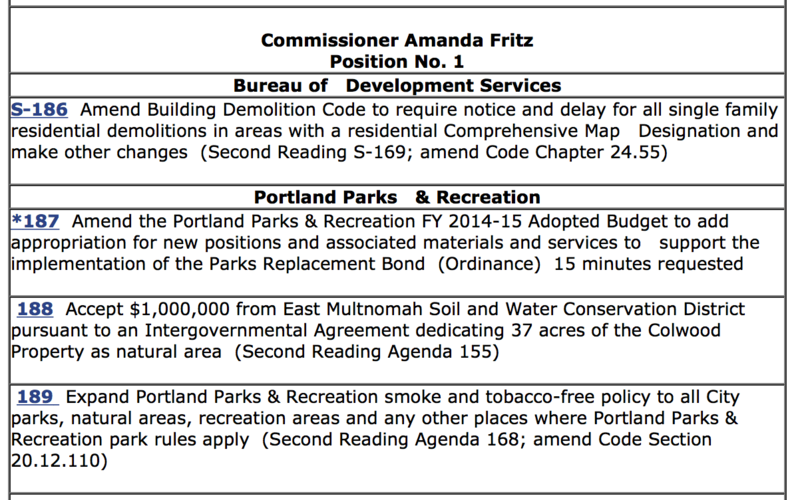 Item #189 – No smoking in parks. 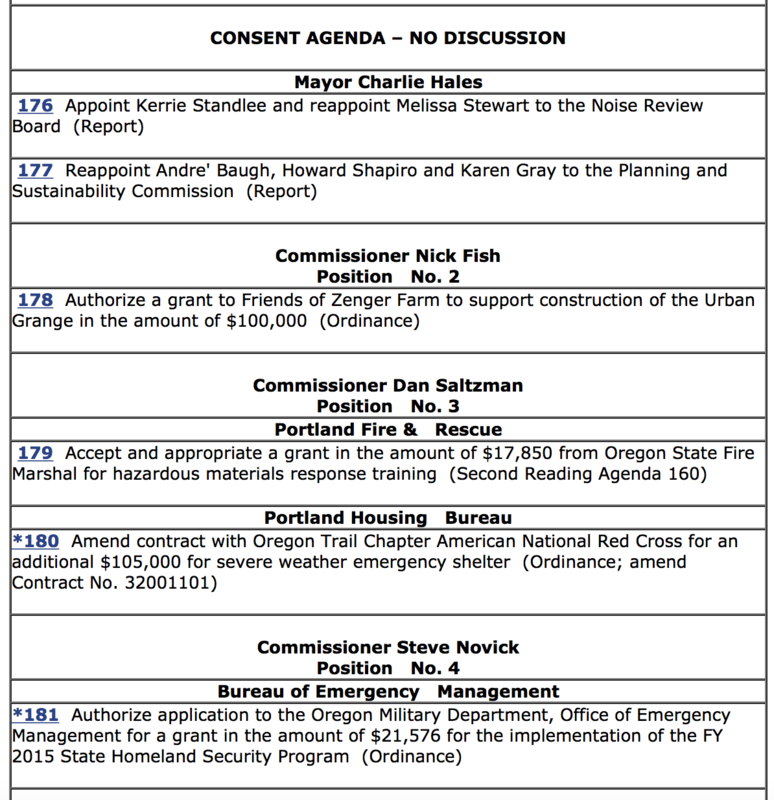 Item #190 — Creates transparency and room for more public input in how Portland Water Bureau and Bureau of Environmental Services sells off surplus property. Creates a notification policy for local organizations. Item #194 — raise minimum wage of city workers to $15/hour. The current cost estimates for this effort range from $670,000 to $1,200,000 and would come from the General Fund. Items #196, 197, 198 – Joint Terrorism Task Force.